A sewer pipe needs to be installed carefully with the adequate slope. The installation method and process is almost identical for all types of pipe or culvert materials. Depending on the sewer pipe material, things could be easier or more complicated because the installation process might be more challenging, and more equipment and labor might be needed. 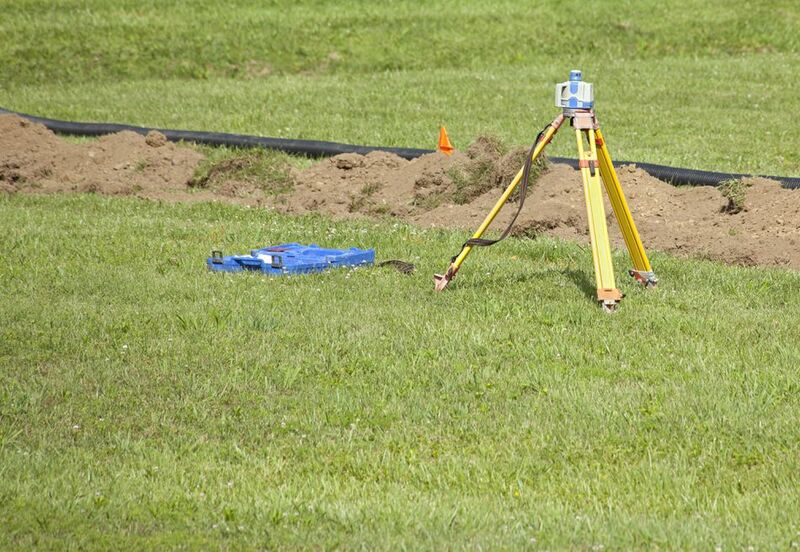 To start, you must determine how far the pipe needs to go and determine the elevation at which the pipe will be connected to the specific fixture or if it will be connected to another pipe. Another important element is to determine the final installation height. Both initial and final elevation must be measured at the interior point of the connecting pipe, right in the middle of the pipe. Use laser level, GPS, or traditional surveying equipment to help you with this. Be careful, a drop greater than 1/4” per foot is not adequate as water will flow faster than solids, while a slope too small, less than 0.003, will be sufficient to carry solids away. The recommended pitch for 4" pipe is 1/8" to 1/4" per foot. You don't want to have too much of a slope as that might also create another type of problem. Start by opening the trench. Be careful once the trench is open and follow all safety measures to protect workers inside and outside the trench. Remove all loose dirt at the trench bottom and grade the trench bottom so the pipe will be installed over a smooth surface. Sometimes you will need to place a bedding material to provide additional support to the sewer pipe, to reduce the possibility of "sag" after the trench has been backfilled. The best material to use for bedding material is sand, but if unavailable you can choose gravel bedding. Be careful not to use sharp stone or other material that sometimes can puncture the sewer pipe. Once the select portion of trench has been prepared, lay the sewer pipe in the trench. It is recommended to start at the lower end of the pipe run, up to the higher elevation. If the sewer pipe has a bell end, the bell end must be placed on the uphill side of the pipe run, reducing the possibility of leakage. Remember, before applying glue to the sewer PVC pipes, you must apply purple PVC primer. Purple PVC primer chemically cleans the PVC surface, so the glue acts properly. Insert the male end of the pipe into the female end and twist a little bit. To be sure that the pitch is being followed correctly, install a string along the pipe run. The string must be installed with the same slope as the pipe, but just one foot over the finished level. The measure from the string to the bottom of the trench will be the same along the entire run. It is probable that the last portion of the run will need just a fraction of a pipe. Be aware that you will also need additional fittings to complete the installation. Once the pipe has been installed completely, check for any pipe that could be disconnected, broken, or not installed properly. Now place the sand and/or gravel over the pipe, enough to cover at least 10” over the sewer pipe. Start compacting the material with a rammer or any other compaction equipment suitable for the type of pipe being installed.